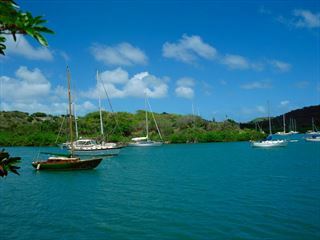 Travel by catamaran around the whole of Antigua on this wonderful day of cruising. You can be picked up at one of the amazing resorts on the island’s north west coast where you’ll start your journey. As you cruise around the island the knowledgeable crew and captain will point out the prettiest spots including Bird Island, Green Island and the renowned Devil’s Bridge. The boat anchors by a secluded island giving you the chance to go swimming or snorkelling. 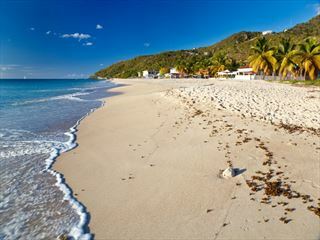 Visit Antigua’s most stunning coral reef on this incredible cruise. Your day starts with pickup from your resort, after which you’ll cruise on the calm Caribbean Sea down the western coast of the island to Cades Reef, undoubtedly one of the best reefs you can find in Antigua. You’ll anchor in the shallow water and get the chance to snorkel and swim around the coral and the sea life, then lunch will be served. On the return journey you’ll stop off at Turners Beach to sunbathe or go for an afternoon swim. 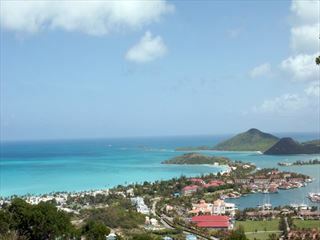 Antigua’s sunny sister island Barbuda offers a day of cultural intrigue and stunning natural sights. Starting from St Johns, the cruise will take around an hour and thirty minutes to get to Barbuda. Once you arrive you’ll be free to lounge on the beach or visit the Codrington Lagoon where you’ll get to see the mangroves and the world’s largest frigatebird colony. 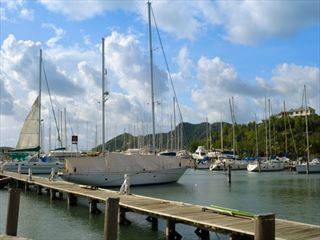 You’ll then return to the catamaran for lunch before getting the chance to swim in the sea or take a walk on the beach. Sail at dusk and prepare for one of the most incredible experiences of your life; the Caribbean sunset – this is one cruise that you’ll never forget. Starting at the picturesque Jolly Harbour, you’ll sail along the south-west coast taking in the beautiful scenery and turquoise water – you can charter the boat for a personal experience or share with six passengers. The cruise lasts for three hours and includes canapés and an open bar.